Science is the study of our surrounding natural world using collected knowledge, careful observation, analysis, and repeated experimentation. Study of science includes different facets of mental as well as physical phenomena. It consists of objective truths about nature and society. Science is all about discovering how and why things happen in our natural world. Branch of science which is concerned with the study of matter and energy and interaction between them. The subject of physics includes mechanics, heat, light, sound, electricity, magnetism, and the structure of atoms to study of our galaxy. In Physics we are concerned with experiments, measurements and mathematical analysis with the purpose of finding quantitative physical laws for everything. Branch of science which is concerned with the substances of which matter is composed, the investigation of their properties and reactions involve between their constituents, and the use of such reactions to form new substances which are new to us. Word biology is derived from the greek words bios means life and logos mean study. Branch of science which is concerned with life and living organisms. An organism is a living entity consisting of a single cell to many cells. Eg: bacteria, animals, plants and fungi. Study of biological science ranges from the study of molecular mechanisms in cells, to the classification and behavior of organisms, how species evolve and their interaction between ecosystems. Branch of science deals with the interactions between the physical, chemical, and biological components of the environment, and their effects on all types of organisms but more often refers to the human impact on the environment. 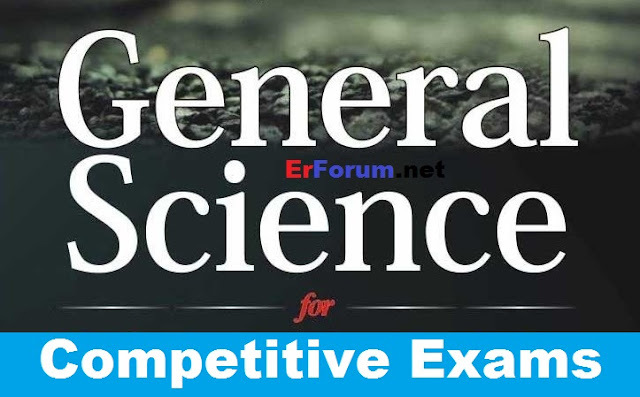 Here we are sharing General Science study materials which are very very important for different competitive exams. You can download these study material here. More parts of these General Science Study material will be uploaded soon. Your Like and Share motivate us to post more such useful notes. So, Please Like and Share it.